Castinox manufactures all its products using a wide range of types of steels that comply with the various industry standards. Thanks to the wide range of alloys which we offer, Castinox supplies valve parts and other castings to many industries and markets. Stainless steel prevents piece corrosion thanks to its alloy with other materials such as chromium. Due to its high resistance, stainless steel is one of the materials most frequently used in the industrial sector, and can be used in many industries. Carbon steel is a material composed of substances like iron and manganese as well as carbon. Its properties are determined by the carbon ratio, which is usually less than 2%, and by the heat treatment to which it is subjected. The composition of this type of steel usually makes it perfect for mechanical construction and pieces for routine use. Cryogenic carbon steel is prepared to display high resistance to low temperatures. Its most characteristic feature is its resilience, due to a change from ductility to brittleness when temperature decreases until the critical transition moment. Low-alloy steels contain up to 0.22% carbon and are perfect for welding, although the level of suitability for welding varies depending on the level of carbon and other components, such as hydrogen, nitrogen, or oxygen. It is a material with outstanding mechanical properties, and highly resistant to cracking. Refractory steel is characterised by a rise in the metal temperature. This leads to lower rigidity, which in turns makes this kind of steel perfect for the steel industry and heat-treatment furnaces. Duplex and super duplex steels are highly resistant to corrosion and have strong mechanical properties, due to their composition, which includes chromium and nickel. Its main feature is its resistance to corrosive cracking caused by chlorides. This kind of steels have a high degree of overall resistance and strength and a low level of thermal expansion. Nickel-based alloys have become a regular material in the industrial sector thanks to their properties: resistance to heat and cold, low degree of corrosion, resistant to oxidation, etc. This kind of alloy is perfect for areas in extreme conditions where stainless steel is not suitable. 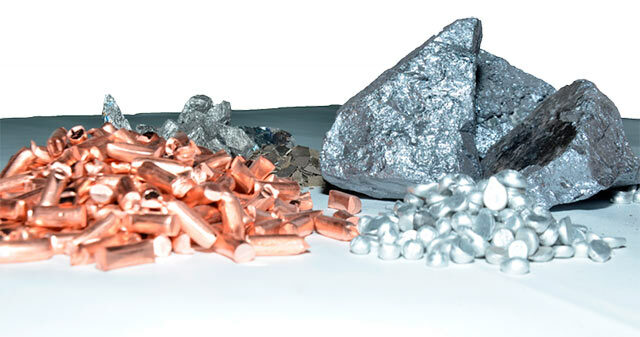 Cobalt-based alloys are highly resistant to heat and the wear which it causes. The fact that its properties of are similar to those of nickel-based alloys, and the difficulties of their manufacturing process means that they are less popular than nickel-based alloys. It is suitable for hard, wear-resistant surfaces. I expressly authorise CASTINOX, S.A. to process my personal data according to its Personal Data Processing Policy.